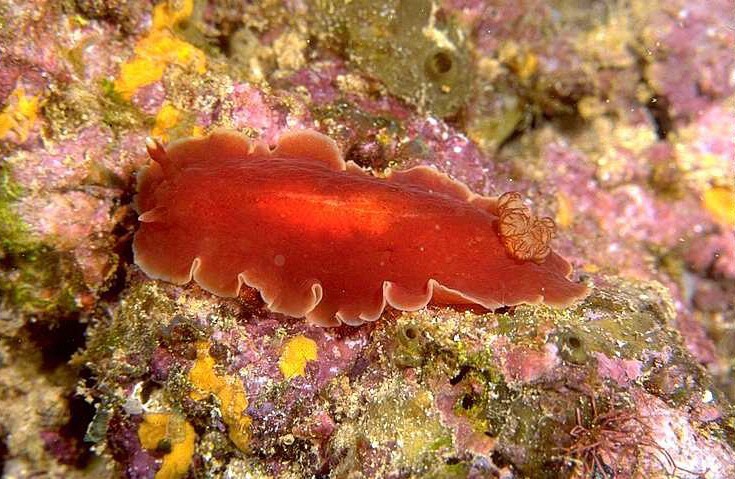 This brownish red dorid has a yellow margin, white-tipped rhinophores and whitish gills. It appears to be active both by day and night. In the Indian and Western Pacific oceans it is described as having black, gray or dark red blotches and no yellow margin. 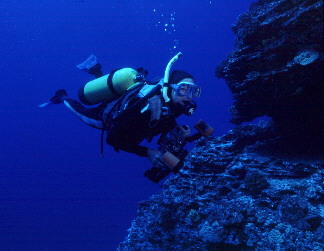 Specimens from Hawai`i and the Marshall Islands have a yellow margin but lack the blotches. Regional variation may account for this, or the species could be new. (Thanks to Scott Johnson for this info.) Slugs of the genus Dendrodoris have no radula, so identifying them can be difficult. To about 2 in. Indo-Pacific. Photo: Waimea Bay, O`ahu. 50 ft.